OK – on to the Tallest Stalks of Wheat! 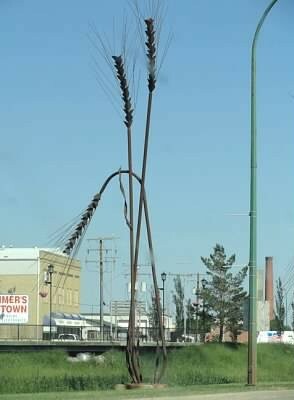 I’m not totally sure these are the record holding Tallest Stalks of Wheat, but, even if they aren’t, they are really pretty, and make driving through Weyburn, SK that much nicer. (Google map). Which is totally off the subject- we’re on a roadtrip! 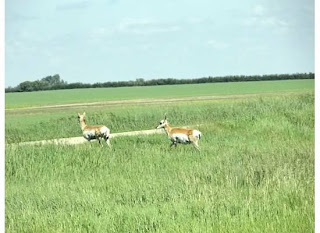 We didn’t go through Weyburn to see the Wheat – we went there because it’s enroute to Fargo ND…Yeah, that’s right! 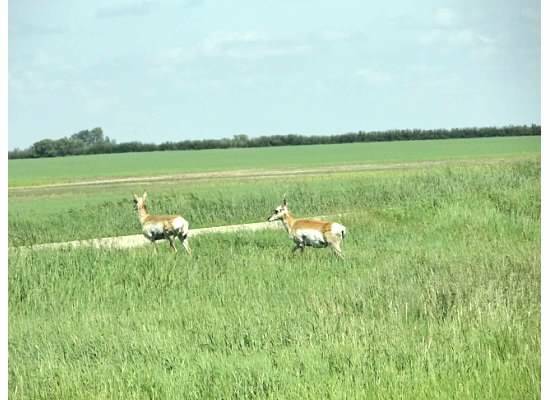 You heard me – Fargo ND. 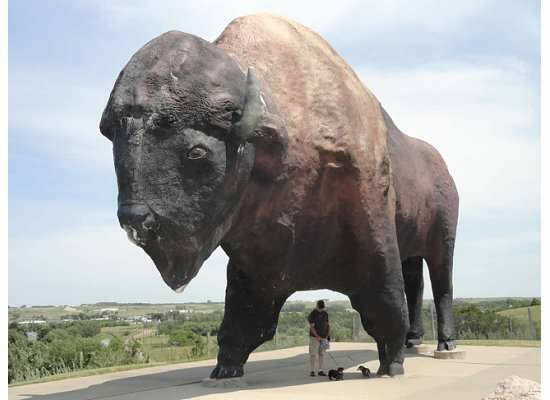 Jamestown ND is also enroute, and home to the World’s Largest Buffalo. There isn’t a sign (or if there is, we missed it) for “World’s Largest Buffalo”, so we took a guess that it was at the National Buffalo Museum. (It’s actually just passed there at the Frontier Village http://goo.gl/maps/j1ZdB). 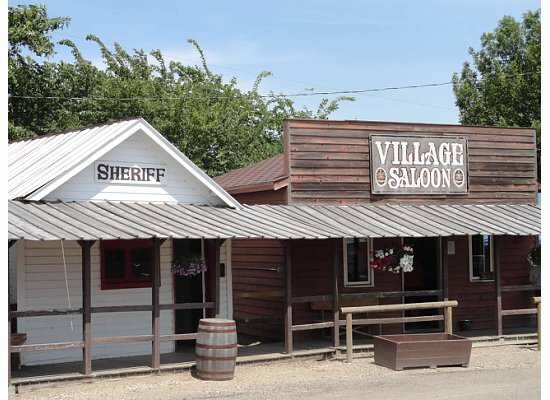 First of all, the Village is a cute little old-west street, with stores and buildings rescued from various places around North Dakota. There, you can take a stagecoach ride (we didn’t – we usually travel with two little dogs, Daisy & Coco, who don’t love horses), visit the little house dedicated to the works of Louis L’Amour (who is apparently from Jamestown), and go for a drink at the local saloon. 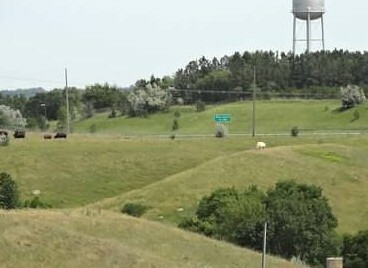 From there, you can see a couple albino buffalo, too. (In fact, that’s how I convinced Peter to go visit.) They were far away, and at first I thought one was a white rock, but THEN! It got up and started walking. My pictures aren’t great (I didn’t have “the big camera” with me at the time), and by “not great”, I mean “terrible”, but here they are anyway. (You can Google for better picture OR, even better, go there and take your own! Next time, I’ll bring the big camera. There was more to do, more to see – we could’ve stayed longer, but we had to get to Fargo… to be continued Sunday. If I’m not mistaken the King Kong climbing up a building is on 16th Ave. I think it as a movie poster shop. Oh! thank you! I’ll be up in that area soon – I’ll look!